Violet & Roses Robe a la Francaise: Sleeves are done! I made these sleeves in a totally jackass sort of way– sorry. They have no basis in historical reality at all, I made them so they would be super easy to wear and alter, meaning they needed to be one piece and have an inner seam that completly controls the size of the sleeve. I have thought of a better way to make them easier to deal with, but naturally I didn’t think of it until everything was all done. Whoops. Always learning! I wonder when everything will stop being a prototype?? The bodice fronts came together pretty smoothly, which is totally not normal! 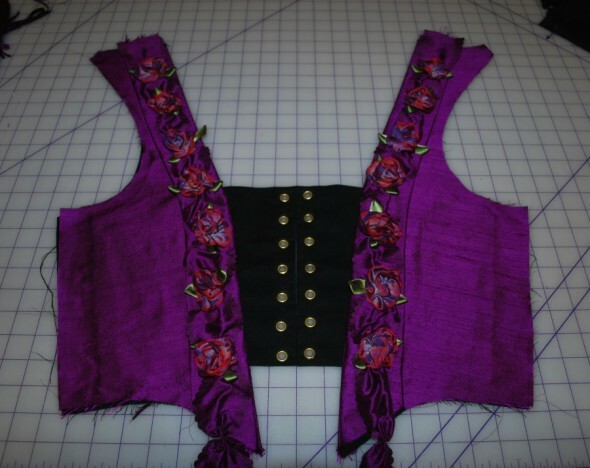 Violet & Roses Robe a la Francaise: Echelle Stomacher Done! 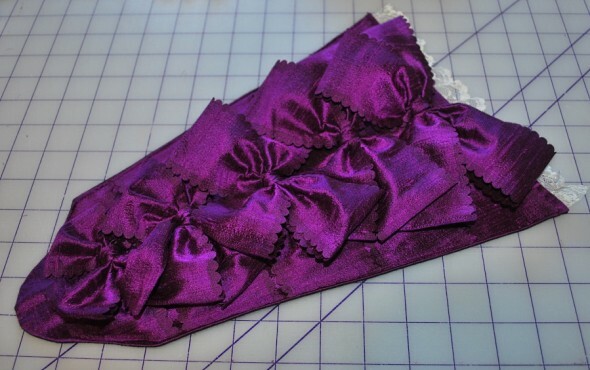 In the continuation of the Violet gown, I painstakingly cut out all the remaining pieces needed, sliced up and prepped the furbelow strips, and then was suddenly struck to make the stomacher first. I usually leave the stomacher until last, but couldn’t this time– with such a meager amount of fabric left, I had to make sure I had what I needed for the stomacher, and then I could fudge the skirt furbelows with scrap-pieced strips. 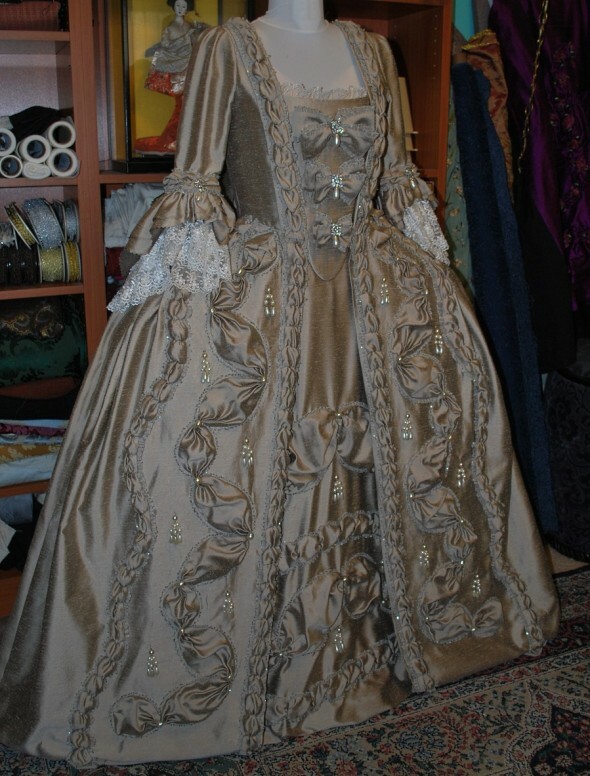 Couldn’t do that with the stomacher! It’s such a focal point I wanted it to be lovely– and I wanted it to be echelle. Throwing My Hat Into the Ring! There is a distinct possibility that I will be able to attend Costume College next year, and have decided to join the Court Ensembles Project created by Kendra over at Demode Couture. So many people have already staked claims to so many amazing gowns! I hope they all come into fruition, because wouldn’t that just be amazing? Isn’t it gorgeous?! I have been loving it for quite a while now, and finally have an “excuse” to make it! 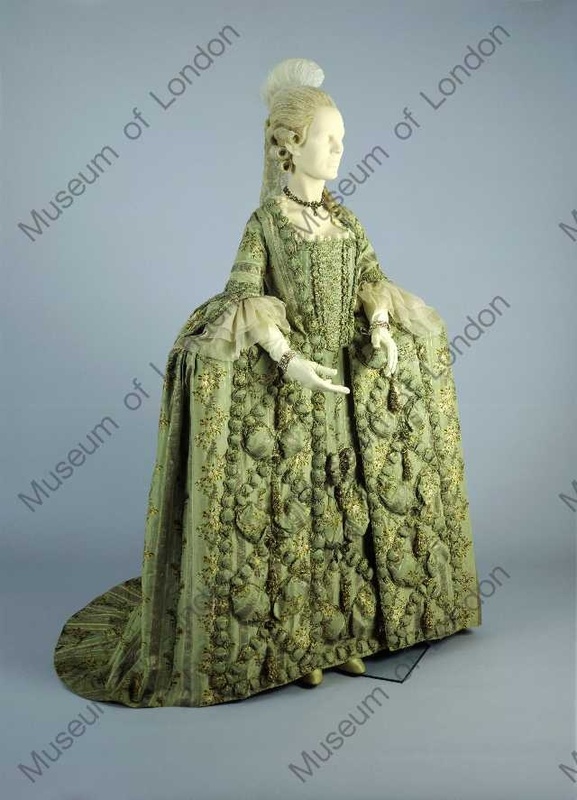 It’s sitting in the Museum of London, and I wish I could find better photos of it, but so far, no– just tiny ones. I suppose I could buy a copy, and it may come to that! I have no idea what color it will be, but I love fabric shopping so it will be super fun to find just the right thing! I have a lot of time to make this dress, and yet no time at all. Must stay organized and progressive! 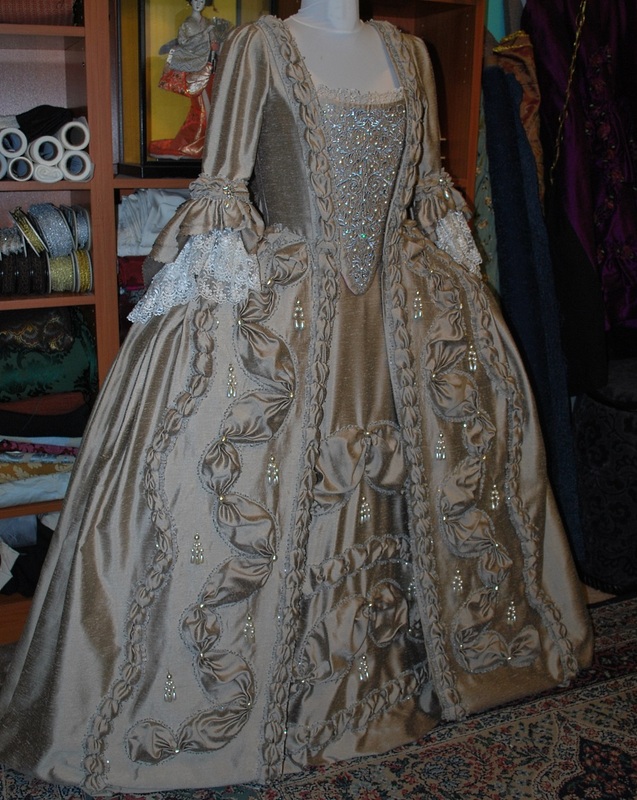 Taupe Robe a la Francaise: DONE!